Our collection of lip balm tubes include the standard chap stick style tubes, slimline tubes with slant and stadard tips, and larger containers suitable for balms and deodorant style twist-up packaging. Additionally, we are pleased to offer filling trays with trowels to streamline the filling process. 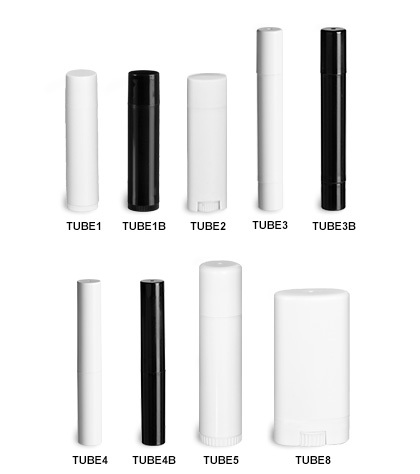 All prices include both the tube body and cap. See below for filling trays.